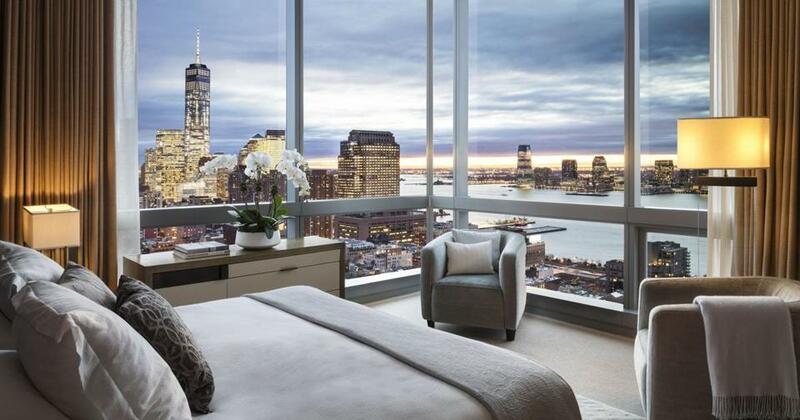 A room in the Dominick Hotel, the former Trump SoHo in New York. NEW YORK — It was nearly a year ago when the Trump name was unceremoniously removed from the glistening 46-story hotel. Now, the guests have begun to return. The 391-room hotel opened as Trump SoHo in 2008. Late last year the Trump Organization severed its affiliation with the hotel, which is located in the tony and trendy New York neighborhood. It was rechristened the Dominick shortly after. Last year, The New York Times reported that the Trump SoHo, which was located in a very blue city in a very blue state, was slashing room rates and laying off staff as occupancy rates dropped after the 2016 presidential election. An attorney for the hotel’s former sushi restaurant, called Koi, said the eatery closed because hotel business lagged after the election. Circumstantial evidence would suggest that the Trump name was the force driving away business. That’s also the impression I received when I talked to the hotel’s general manager, Dant Hirsch, at a travel conference over the summer. “We’re trying not to talk as much about Trump and trying to talk about what we are moving forward thus far,” Hirsch said. He said one of the challenges the Dominick is facing is that people still refer to it as “the old Trump SoHo,” so he knows it is difficult to separate the building from the brand in people’s minds. Those changes appear to be making a difference. Since the Trump name was dropped last year, revenue per room (known in the hotel industry as RevPAR), has increased by more than 20 percent, according to Hirsch. Although changes in room décor and common spaces are coming soon, currently the Trump SoHo palette lingers at the Dominick. The lobby glows with a rich amber hue. Upstairs, the color scheme varies between deep tones of butterscotch and brandy. Brown and beige dominate. The end result, at least in my room, was a space that was more masculine than neutral. If the Dominick, which is named after an abutting street, can successfully pull off the transformation, it will be the first time that the glass skyscraper will truly be a part of the neighborhood. President Trump announced plans for the SoHo hotel on his former reality show “The Apprentice” in 2006. But neighbors were unhappy with the scale of the building, protesting with slogans such as “Dump the Trump.” It was also plagued by legal issues. The Trump Organization did not own the building, but managed the day-to-day operations of the hotel. Trump SoHo was the second property to remove the Trump name last year. A hotel in Toronto was renamed after protests, sluggish occupancy rates, and legal woes. The Dominick is located in a neighborhood with a dearth of large, luxury hotels. Hirsch says what it offers is the service of a Midtown Manhattan hotel with a location in a much cooler part of the city. My stay was comfortable and I found the service to be excellent. Both the staff, and Hirsch, did not know a travel writer was staying at the hotel at the time of my visit. The Globe received no special rate or treatment. I paid about $540 for a night at the hotel. A study conducted by the travel industry website Skift in 2016 found that Trump supporters are unlikely to spend that much for a night at a hotel, while those who can afford such rates are less willing to stay at a property with the Trump name. I’m anxious to see what the Dominick will look like in another year, after rebranding and refurnishing kicks into high gear. It’s located in a desirable location — which means not Times Square — and it offers a pool, an outdoor bar, and stunning views of the Hudson River from higher floors. At the time of my stay, the clientele weighed heavily toward wealthy foreign travelers. My bellhop, who I casually questioned without letting on that I’m a travel writer, seemed to think the reason why business had lagged was quite clear.